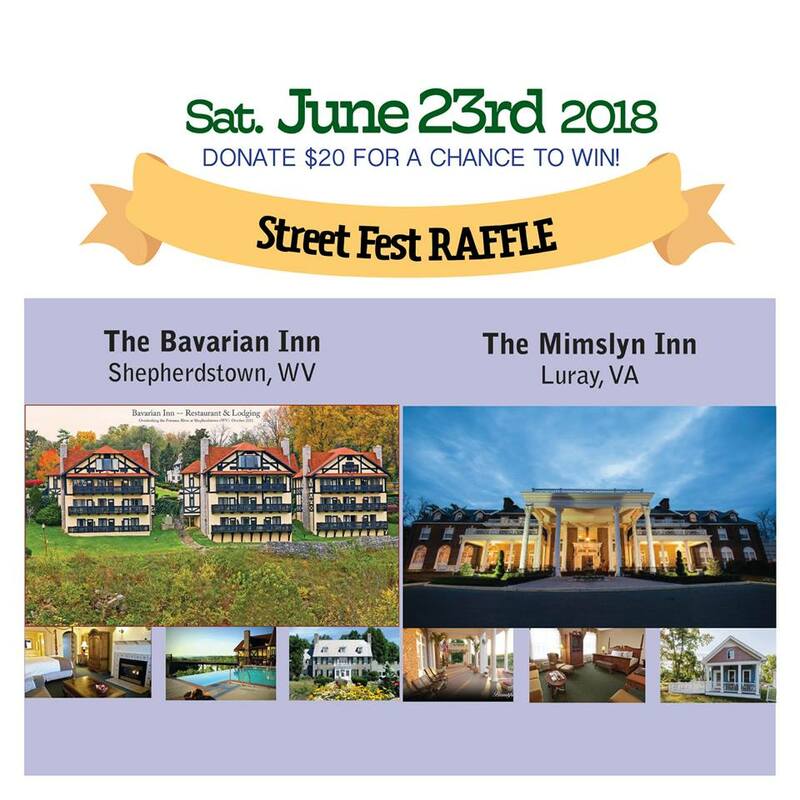 In partnership with the Bavarian Inn, Shepherdstown WV​, The Mimslyn Inn​ at scenic Luray, VA, and Shepherdstown Streetfest, we are proud to introduce an exciting offer. For a donation of $20 Shepherdstown Streetfest 2018, you will be entered in a contest to win a free night’s stay for two at your choice of the either the Bavarian Inn in Shepherdstown, WV or the Mimslyn Inn in Luray, VA. Both are stunning highly accredited hotels with a night's stay valued at well above the donation price. It’s a win/win proposition; by entering the contest you are: giving to two very worth charities, the Shepherdstown Public Library and the Potomac Valley Audubon Society; helping to throw the best party on the streets of Shepherdstown, WV; and to top it all off, you might win a free night’s stay for two at one of two very fine hotels/resorts. Now accepting entries until 8:00 pm on June 23, 2018. Go to the raffle page and enter now! *Employees of Shepherdstown WV Streetfest, Inc., the Bavarian Inn, and the Mimslyn Inn are ineligible to enter. Dates of the stay are subject to availability.